Hello, my name is Pat Werk. It has been my delight to be serving as an ordained non-denominational minister, life celebrant and wedding coordinator since 2005. I feel a calling to help people celebrate the transitions of life’s journey through ceremony whether it be for weddings, baby baptisms, or house blessings. I truly love creating personalized celebrations that mirrors the vision, beliefs and relationship of the couples, individuals, and families I work with. Each couple has their own story. Finding the best way to reflect that in their wedding ceremony is a wonderful and creative challenge. Helping couples celebrate their relationship and things that are most important to them and their families is always an inspiring process. I respect all faiths, beliefs, and traditions. I have worked with a wide array of people from different religious faiths (Jewish, Buddhist, Hindu, Islam, Native American), Christian denominations (Roman Catholic, Lutheran, Evangelical, Methodist, Presbyterian, Baptist, etc.) those who are non-religious but consider themselves spiritual, and those who are not religious at all. In addition to being an ordained minister, I also work as the Wedding Coordinator and Christian Formation Director at ﻿Grace Episcopal Church﻿, a historic landmark located on the Capitol Square in Madison, WI and my home parish since 1984. Previously I was the wedding coordinator at ﻿Pres House﻿, a Presbyterian Church on the University of Wisconsin-Madison campus and at Holy Wisdom Monastery in Middleton, WI as the Hospitality and Event Coordinator. I have more than ten years worth of experience as an officiant and wedding coordinator. Combining my expertise into one comprehensive package, I can help you plan and carry out your perfect wedding day. To share a bit about my personal interests and myself: I am a wife (married for more than 35 years), a mother to three grown children, and a grandmother to three sweet grandchildren. When I talk about my family my heart swells with joy and pride. I am passionate about photography and enjoy taking photos of my family and friends. I love a good book and installed a ﻿Little Free Library at Grace Episcopal Church﻿. I enjoy travel and my most recent trip was to Denmark. I feel so blessed to be able to create a life doing what I love and am honored to officiate the weddings of the incredible couples I work with. Hello, my name is Amy Gile. Over the past 10 years it has been my pleasure to work with hundreds of couples on their wedding day. I enjoy many roles in the wedding industry from officiating custom ceremonies for couples with Koru Ceremony to coordinating the behind the scenes choreography of the ceremony at Pres House as their wedding coordinator. Each couple I work with is different and I find it exciting to work with them to create the ceremony of their dreams, whether it is custom and unique or traditional and romantic. I am comfortable and have experience working with couples of all faiths and levels of spirituality. To share a little bit about me, I am head over heals in love with my family, the couples I work with, and my passion to see the world. My summers are filled with weddings just about every weekend. I am blessed to be able to share in lifelong memories as couples commit themselves to one another. During the cooler weather off-season, I take time to spoil my nieces and nephews and spoil myself a little by traveling to as many countries as I can squeeze in each year. One day, I hope to have reached them all. Thank you for considering me as a guide for such a special moment in your life. I look forward to meeting you. My name is Sarah Harrison, Ceremonial Officiant with Koru Ceremony, LLC. I celebrate life with joy and ease, and will embody these qualities as your officiant throughout life’s important and special occasions. As a Non-Denominational Ceremonial Officiant, with more than 15 years of assisting in ceremonial rituals, my heart delights in the ritual of ceremony and in offering support and guidance to those moving into new phases of life... weddings, mother/in-utero baby blessings, baptisms and funerals. 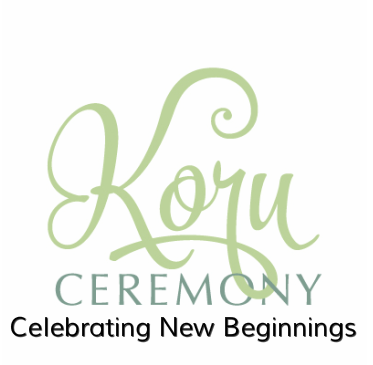 I am honored to be working in conjunction with Koru Ceremony in creating and delivering high quality and memorable celebrations and ceremonies. Outside of officiating, I also find joy in being a preschool teacher by day, and long walks under the stars holding my husband's hand by night. I love to travel with my family, especially to places by the sea. I love to laugh and share good times with family and friends. And so, I ask you for an opportunity to introduce myself and share with you my love for Koru Ceremony and the work we do to ensure couple's 100% satisfaction on their wedding day. Thank you. Contact Rev. Pat at 608.213.7558 or koruceremony@gmail.com or fill out the ﻿﻿contact form﻿﻿ to check for our availability.